I love mashups, the ability to create a new song from two completely different songs and various samples amaze me. Girl Talk, formerly biomedical engineer Gregg Gills, is gifted at mashup’s as demonstrated by his recent album release Feed the Animals. The entire album can be purchased for any price, with extras available at $5 and $10 and features creative remixes of popular songs from hip-hop, rock, and pop. Unlike most mashup’s where two or three songs are pitted against each other, tracks frequently contain samples from four or five other references interweaved to make a completely new song. While the album is unbelievably creative and well orchestrated, it does sounds more like a demo than an actual album. The album is best played as a whole, each track is interwoven seamlessly into the next one as separately the tracks seem out of place. Do not let this critique detract from the creativity and complexity of the album that makes it a very rewarding listen. You can get the CD from Girl Talk’s MySpace page. This entry was posted in Music and tagged Feed the Animals, Girl Talk, mashup, Review. Bookmark the permalink. 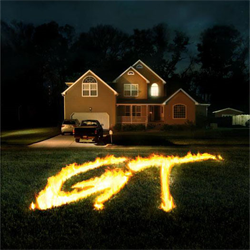 That burning GT in a lawn seems like a nightmare I would have.